We at P-MediCyp Ltd are an innovative one stop shop compamy for various medical aids and patient aids for home. Bes sure to check us here for outstanding daily living products and solutions, for home and away, that will make your life much easier. Looking for a smart pill reminder that will help you and /or your dear ones, to take their medication on time? A smart reminder that is a wrist band that will vibrate and flash with a color LED light to remind you to take your medicine on time daily? 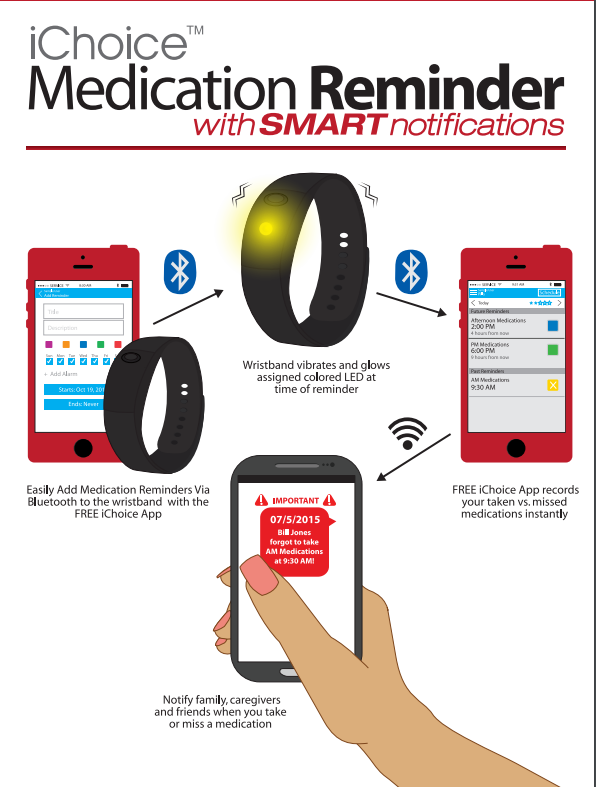 Caregivers or family members - looking for a smart pill/medicine reminder that will help you be notified if the medicine has been taken or missed? 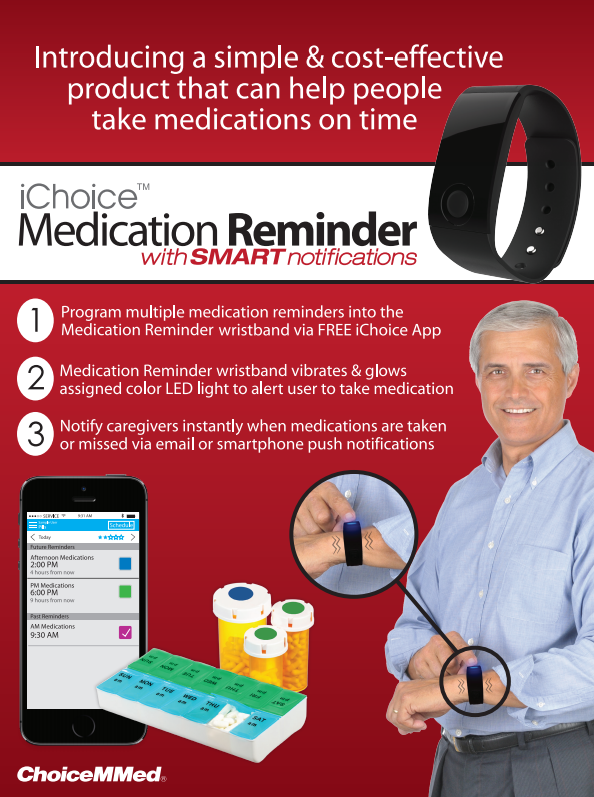 With your iChoice Med-Reminder with smart notifications, you'll be able to set and sync medication reminders via the free iChoice App, to notify caregivers and update EME instantly when medications are taken or missed. Your iChoice Med-Reminder will connect to your Smart phone via Bluetooth connection. For more details and short Vid, press here.